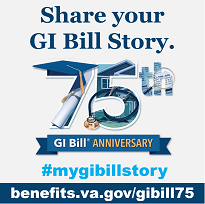 In 2008, Congress passed the Veterans’ Benefits Improvement Act (P.L. 110-389) to improve and enhance compensation and pension, housing, labor and education, and insurance benefits for Veterans. Section 334 of this law requires VA to conduct a 20-year longitudinal study of the outcomes of individuals who apply for VR&E services and begin rehabilitation plans in fiscal years (FY) 2010, 2012, and 2014. The primary objective of the longitudinal study of the VR&E program is to determine the long-term post-program outcomes associated with Veterans who establish and participate in a plan of services. Section 334 requires VA to submit annual reports of findings during the study time period to the Committees on Veterans’ Affairs of the Senate and House of Representatives. The annual reports detail the demographic and program characteristics of the three cohorts in the study and assess each cohort’s outcomes-to-date.